Sales of the gasoline-powered Karl, shown, will begin in the summer. FRANKFURT -- Opel plans an electric version of its new Karl minicar, a German magazine reported. The Karl EV could go on sale by the end of 2018, Autobild said. The battery powered hatchback will have a range of approximately 150km (93 miles) on a single charge, the magazine said. No details have been released, but reports suggest the model could have a number of aerodynamic styling tweaks including a new front fascia with revised headlights. 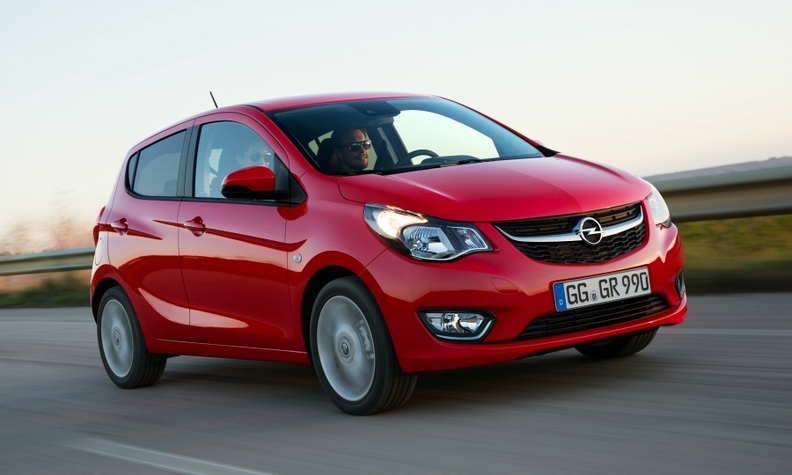 Opel declined to comment on the Autobild report when contacted by Automotive News Europe. Opel will start deliveries of the Karl with a gasoline engine in June. The Karl, which will be badged as the Viva by sister brand Vauxhall in the UK, will replace the Agila minicar as the brand’s entry-level model. Opel said last July that it would develop an electric vehicle to replace the Ampera, a plug-in hybrid based on the Chevrolet Volt. The Ampera is being dropped because of disappointing sales. Opel sold 934 Amperas in Europe last year, down from 3,180 in 2013, according to JATO Dynamics market researchers.